For more than two decades, Dr. Danielle Ofri has cared for patients at Bellevue, the oldest public hospital in the country and a crossroads for the world’s cultures. Ofri helps elucidate how the world of medicine can be a “foreign culture” to all patients, no matter where they’re from. Even if you were born in the United States and speak fluent English, being in the hospital or doctor’s office can feel like you’ve parachuted onto a different planet. The language, culture, dress, and customs are all different. You may have visited other countries while on vacation, but for this type of trip you are usually sick or in pain—not the best situation to be negotiating in a foreign language. 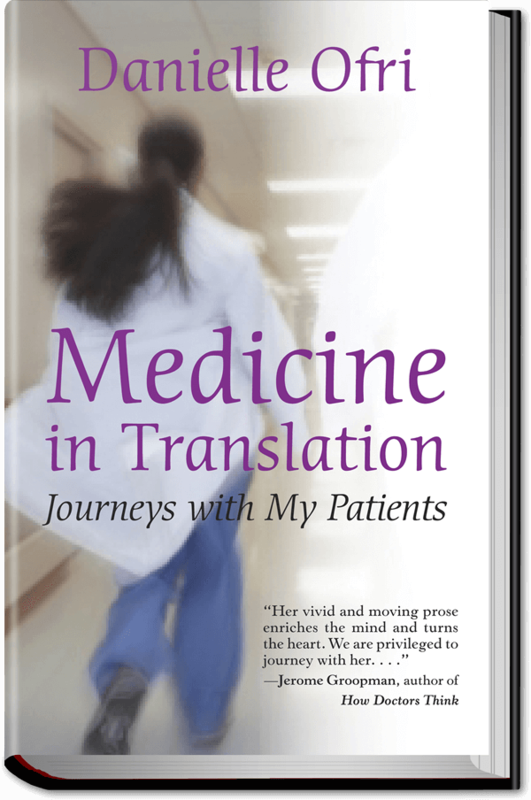 In Medicine in Translation Ofri introduces us, in vivid, moving portraits, to her patients, who have braved language barriers, religious and racial divides, and the emotional and practical difficulties of exile in order to access quality health care. Living and dying in the foreign country we call home, they have much to teach us about the American way, in sickness and in health. Read an excerpt: Facing the Water.